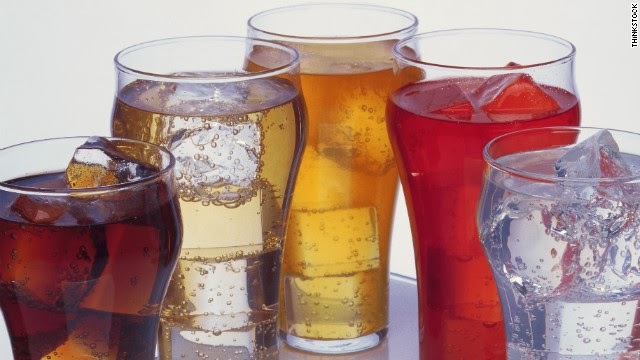 Consuming sugary soft drinks or other naturally-sweetened beverages could increase the risk of a common form of endometrial cancer in postmenopausal women, according to research appearing in the latest edition of the journal Cancer Epidemiology, Biomarkers and Prevention. According to FoxNews, researchers from the University of Minnesota looked at data collected from over 23,000 postmenopausal women who participated in the Iowa Women’s Health Study. This included information on the female subjects’ medical history and dietary intake, including their typical consumption of sugary beverages. Overall, those who drank the most sugary colas, other carbonated soft-drinks or non-carbonated liquids like lemonade or fruit drinks had a 78 percent higher risk of developing estrogen-dependent type 1 endometrial cancer (the most common form of the disease). Furthermore, the researchers found that the more sugar-sweetened drinks those women consumed, the higher their risk of developing the cancer became. “Although ours is the first study to show this relationship, it is not surprising to see that women who drank more sugar-sweetened beverages had a higher risk of estrogen-dependent type I endometrial cancer but not estrogen-independent type II endometrial cancer,” Dr. Maki Inoue-Choi, who led the research while working as a research associate in the Division of Epidemiology and Community Health at the university’s School of Public Health, said in a statement. “Other studies have shown increasing consumption of sugar-sweetened beverages has paralleled the increase in obesity. Obese women tend to have higher levels of estrogens and insulin than women of normal weight. Increased levels of estrogens and insulin are established risk factors for endometrial cancer,” Inoue-Choi added. The study authors also reviewed whether or not other sweetened foods could also increase the endometrial cancer risk in postmenopausal women, according to Richard Gray, Science Correspondent with The Telegraph. However, their analysis found no link between sweet snacks and cancer. Likewise, they did not find any association between consumption of starchy foods or sugar-free soft drinks and type I or type II endometrial cancers. According to the Woerner, the CDC reports that nearly 50,000 American women will be diagnosed with the disease in 2013.